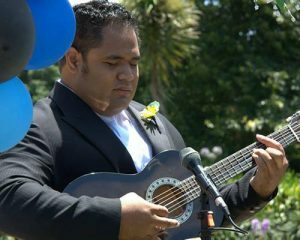 Ese is a talented musician and a music teacher. Ese dreamed of a career in music. But he never dreamed of the obstacles that would be in his path. At one point, he even thought of giving up. After Ese graduated with a music diploma, he set about applying for his dream job as a music teacher. But time and time again he was rejected. “To be told I have this amazing gift and then to have it crushed by what people thought about my blindness was incredibly disheartening,” Ese says. Ese is a great role model for his children. 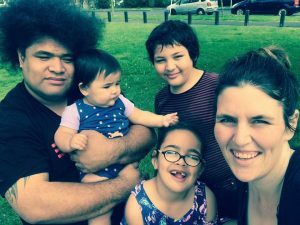 Thanks to your support, the Blind Foundation was able to help Ese with his career aspirations – assisting him with job applications, providing training on interview techniques, and even finding him a placement with a South Auckland Primary School. It was Ese’s dream job. “I was overwhelmed with emotion when I got the job. I was so grateful for the support from the Blind Foundation and for the school to see an opportunity for their kids,” Ese says. And it was thanks to donations from wonderful people like you that the Blind Foundation was also there for Ese’s new employer – helping them adapt to an employee who is blind, and making sure Ese had the equipment he needed to succeed in his job. Ese still teaches there today, and he has a profound and inspiring effect on the kids who come into his classroom. In 2016, he took a group of students who had a love for music, but no previous training, all the way to win the country’s national Bandquest competition. Ese knows that he could not have followed his dreams without the generosity of Blind Foundation supporters.